Tin Paharer Kotha� Consists of three stories of the hilly forest and jungles of the red plateau of Chota Nagpur. 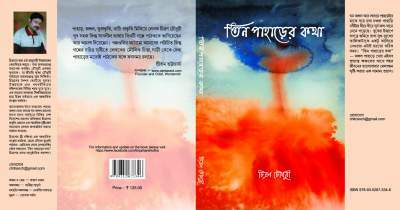 Writer has a consciously tried to create collaboration of love between the urban, tallish complex and longish car, weekend scotch, aspiring but a bit bored class of contemporary Calcutta, with those virgin hilly forests, wildlife and social life. surrounding those remote areas of South Bengal. All the characters in the novels get solace and peace as well as endanger themselves in those landscapes � literally and psychologically.